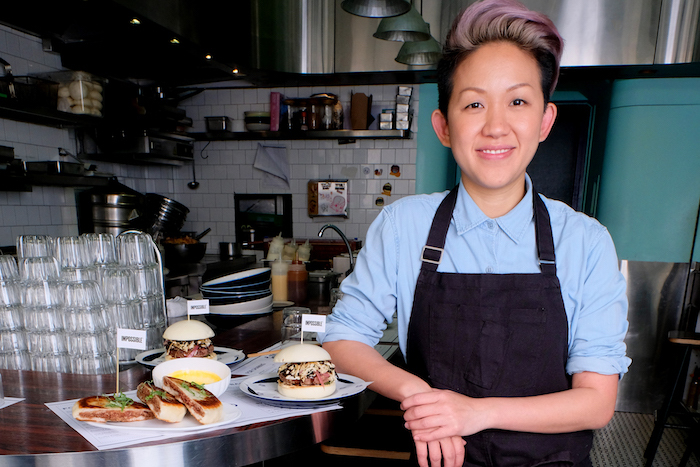 The “beef” has been raved about by the likes of American celebrity chef David Chang, and slotted into baos amped up with Sichuan flavours by way of 2017’s Best Female chef May Chow in Hong Kong. It looks, tastes, smells, cooks and even bleeds like meat — yet none of it is derived from cattle. 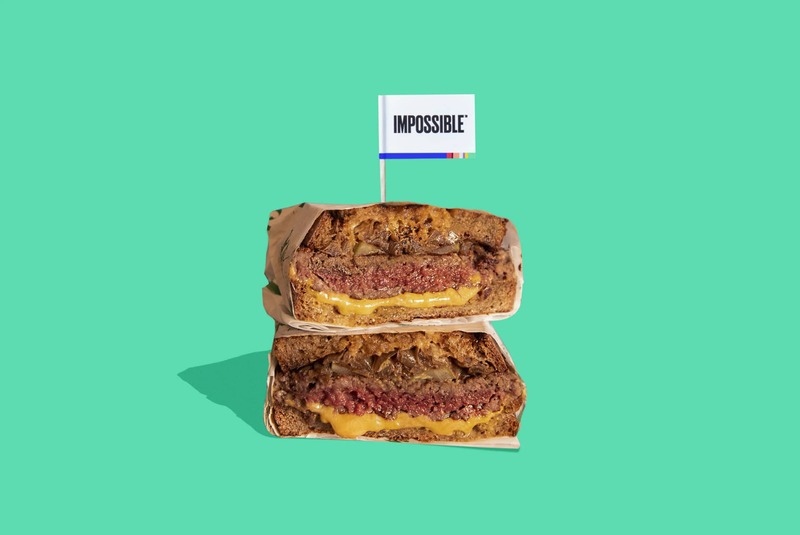 Now, Impossible Foods — a San Francisco startup that shook the food world with its culinary wizardry is set to hit Singapore next year — its second Asian city after arriving in Hong Kong in early 2018. It joins rival Beyond Meat which debuted its burgers at the Grand Hyatt’s Mezza9 earlier this month. This announcement, made in Redwood City, California where the company is headquartered comes five months after Temasek Holdings led a round of investments by injecting US$75 million, leading to long-standing rumours of its arrival. Chef May Chow from Hong Kong. Other backers include Bill Gates and Hong Kong powerhouse Horizons Ventures. Is Singapore ripe for a vegan bar? What does meat taste like? Singapore is a litmus test, as taste and quality of the meat is key to its success. On its own, Impossible Foods’ plant-based product bears a striking resemblance to ground beef in both raw and cooked forms. Uncooked, it has the same white spots of fat dispersed through the blushing redness of meat. Once the meat hits the pan, it shrinks and any redness turns brown. The smell it emits too, is remarkably similar. Behind such a simple reaction though, are seven years of research by a team of scientists across the fields of biology, chemistry, biomedical sciences, nutritionists and food technologists just to name a few. The big question on all their minds: What does meat taste like? “That’s the biggest issue we had to tackle because in order to be successful on the market, our product has to taste like meat and even better,” said Brown who is himself a vegan and a trained biochemist. The solution, it seems is a combination of wheat protein, potato protein, konjac, xanthan gum and powdered coconut oil with its aroma and flavours removed. Yet when combined, these ingredients would mean nothing if not for the magic blood-like ingredient: heme — short for leghemoglobin. It has the same chemical properties and functions as hemoglobin — a protein found in red blood cells that transports oxygen in all animals except this strain is found in legumes. This enigmatic liquid looks and even tastes like blood, complete with its metallic notes. Without heme, the product is said to taste, “a little like crab cakes,” said Rachel Konrad. This magic ingredient is what differentiates Impossible Foods from its nearest rival, Beyond Meat. Where Impossible harnesses heme, Beyond uses beetroot extract. Reviews comparing both products genuinely conclude that Impossible Foods’ meat tastes gamier, far more suitable for meat eaters as compared to Beyond Meat, which would hold greater appeal to vegetarians who might not be comfortable digging into food that tastes too similar to the real deal. Either way, this desire to create plant-based meat was born to prevent further environmental destruction. While populations across the world gorge on beef, chicken and pork, the agricultural industry that support such consumption sees forests burning and wildlife populations dying out. According to Impossible Foods’ Mission Earth: 2018 Impact Update report, over half of earth’s land is used to raise animals and crops to support animal farming. In doing so, it uses up more than a quarter of the world’s freshwater supply and produces 1/7th of the world’s greenhouse gas emissions — the leading cause of global warming. Those are the figures for today. By 2050, Reuters reports that Asia’s growing population and affluence will see a 78 percent increase in demand for meat and seafood. That also explains why Impossible Foods is establishing itself in Hong Kong and Singapore — the first cities out of the US. 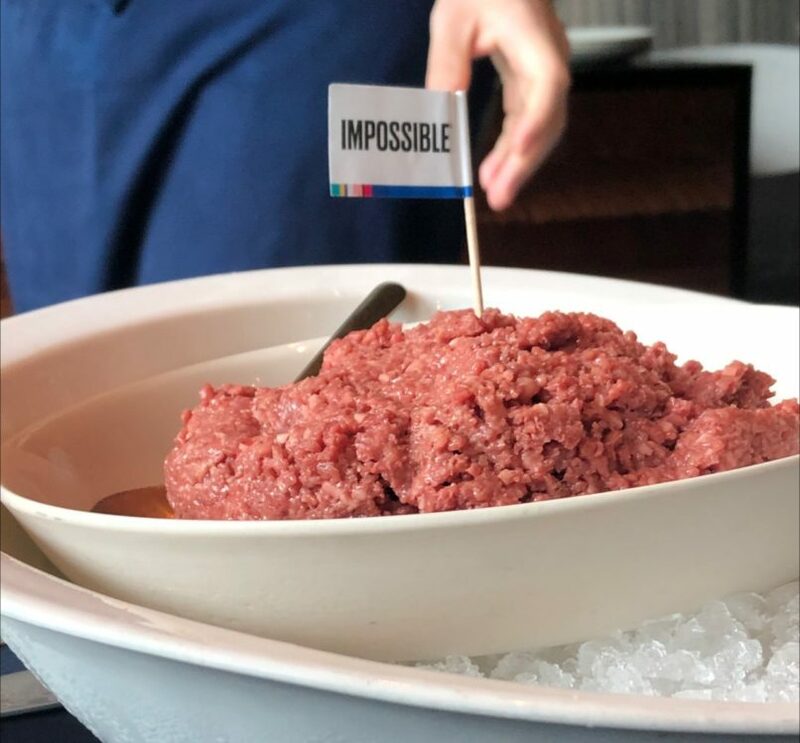 Today, the manufacturing facility that produces Impossible Foods’ ground meat can create 500,000 tonnes with plans to scale up to four times. The end goal? To replace food-producing animals completely by 2035. Already, chefs contacted by Lifestyle Asia have their curiosities piqued by the promise of such a product. Seekh kebab refers to spiced ground meat shaped around skewers and cooked in a tandoor while rogan josh is a type of curry. Convincing diners will be a vital aspect of the experience. 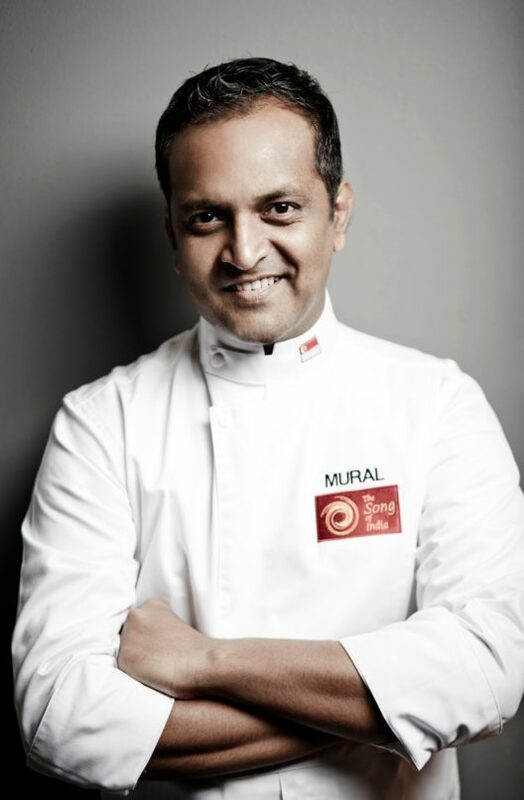 “The service crew will need to be knowledgeable about this as the customers will definitely have lots of questions,” explained chef Mural. For now, over 3,000 restaurants in the US and over 60 in Hong Kong are already cooking with the meat. 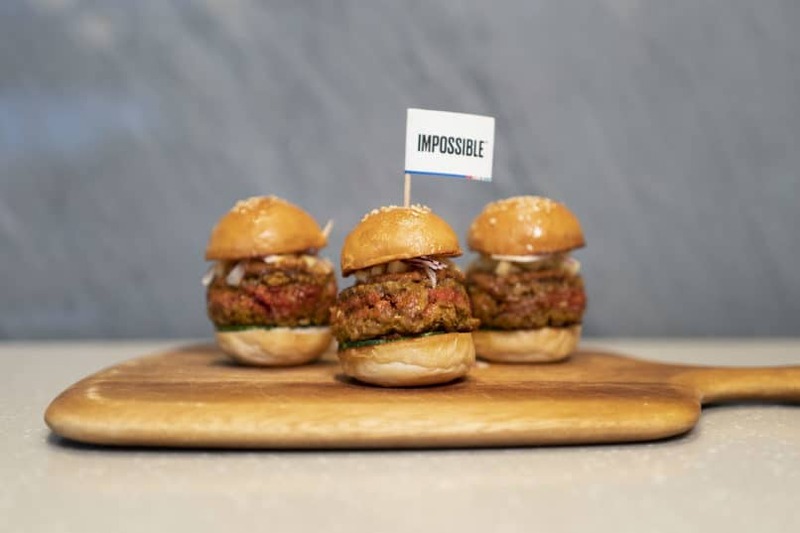 While the launch of Impossible Foods in Singapore is still several months away, it would seem like early chef fans like David Chang and May Chow would soon have company.